Each set of our natural stone coasters is truly one-of-a-kind. 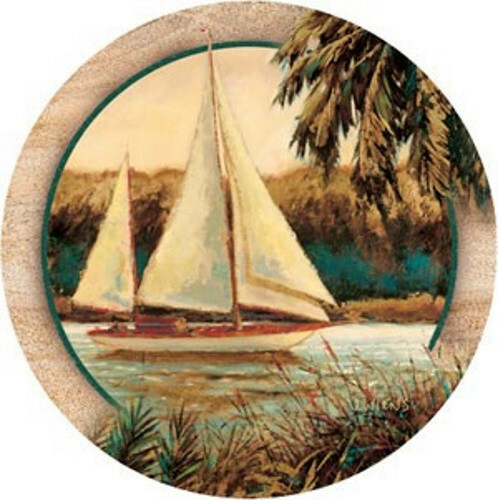 Each sandstone coaster is cut 4"-round and 3/8" high. Each set comes with 4 matching coasters each with a cork backing to protect your furniture. The natural absorbency of these sandstone coasters make them a best seller. The combination of beautiful natural sandstone, exquisite full color artwork and functionality has made us proud to sell these Thirstystone coasters! - Cork backing to protect your furniture.